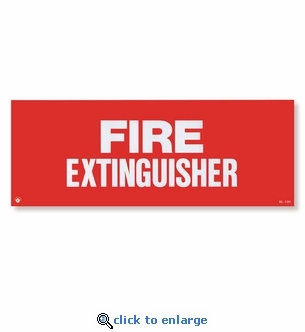 This Self-Adhesive Vinyl Fire Extinguisher Label can be used to mark fire extinguishers locations or storage cabinets. The signs are silk screen printed with UV inks, then clear laminated for durability and fade resistance. The more visible your extinguishers are the better, especially when quick thinking and immediate action is needed to prevent property loss or personal injury.